In an essay in Harper's in 1913, Louis Brandeis, the future Supreme Court justice, decried the "curse of bigness," a broadside against the huge business trusts that dominated the U.S. economy. Big railroads and banks, in his view, were at core in the era's widespread economic squalor and political corruption, and he made it his aim to break them up. Today, taking stock of the new political turbulence crossing the globe, numerous scholars have found disturbing similarities in the Gilded Age, the heyday of the trusts, just preceding World War I. 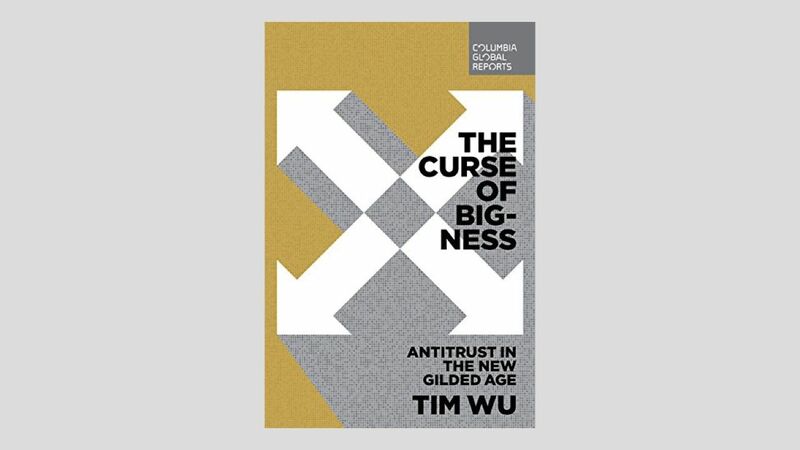 This is because in pharma, telecoms, Big Tech and more, judges and politicians have again allowed private companies to run rampant, heedless of workers or society, writes Tim Wu in "The Curse of Bigness," his forthcoming book. The anti-establishment wave, economic inequality, and xenophobia of our age? Wu's thesis is that Bigness — what he calls the new trusts — are behind all of it. They are "the No. 1 problem" confronting the U.S., he tells Axios — "at the root of all the other challenges the country faces." The big picture: In an Oct. 25 report, the McKinsey Global Institute said that outsized companies around the world, which it calls "superstars," dominate total global business revenue, and that they are only growing more dominant. Researchers have linked such companies to decades of largely flat U.S. wages and inequality, especially in rural areas where people have little choice where they work. Since the 2016 election, Big Tech has been under a political microscope, threatened with regulation and greater taxation. Against the glare of opprobrium, the Big Tech companies, quite different from the imperious Gilded Age trusts, are attempting to at least appear responsive. But they are not going as far as Wu urges in what is a forcefully argued, extended essay — the immediate breakup of Facebook, and a watchful eye on the rest. 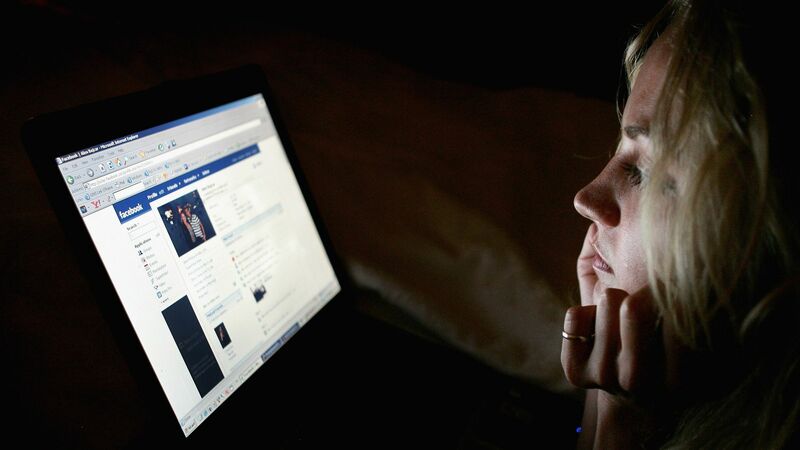 All 71 of the acquisitions that have made Facebook what it is today "were illegal," he asserts. Facebook "dried up innovation, resulted in higher prices, and was used as a tool to influence the 2016 election." It should disgorge all of them, especially Instagram and WhatsApp, he says. Over the 20th century, nations that failed to control private power and attend to the economic needs of their citizens faced the rise of strongmen who promised their citizens a more immediate deliverance from economic woes. The rise of a paramount leader of government who partners with monopolized industry has an indelible association with fascism and authoritarianism. Wu trots out statistics: In the late 1960s, the share of national income going to the top 1% of earners was 8%. As of last summer, it was 23.8%. "We are in grave danger of repeating the errors of the 20th century," he told me. In addition to Facebook, Wu counts up 214 acquisitions by Google and 91 by Amazon. He wants Google to disgorge YouTube and Waze. But while tech gets almost all the attention, other sectors like pharma and cable TV are worse, he says. Some 68 million Americans, he says, have only one broadband server. But, but but: It turns out that bigness may not always be a curse. Wu is less categorical when it comes to Amazon, which he says has good and bad qualities. On the good side, it is shaking up industries that need it, like insurance, he argues, and it provides access to products that some people otherwise would not have. Amazon "still has competition," by which he means Walmart and Target. "But it needs to be watched carefully." U.S. workers saw their largest year-on-year wage increase in a decade, but it was still too small — and inflation too high — to signal a clear break from the long period of income stagnation. What's happening: For almost a decade, weak wage growth has defied the economic recovery and has bedeviled workers. But wages and salaries grew 3.1% year-over-year in the third quarter. That was larger than the 2.5% increase in inflation, but still not a lot, economists say. "Real wage growth is almost nil during the last year," says Laurence Ales, an economics professor at the Tepper School of Business at Carnegie Mellon University. "The Federal Reserve forecasts a stable outlook for inflation at about 2%. Hence, the real wage gain will remain subdued in the near future." The bottom line: "A few good quarters doesn’t make up for years of stagnation," Jared Bernstein, former chief economist to Joe Biden and now a fellow at the Center on Budget and Policy Priorities, tells Axios' Erica Pandey. "What’s remarkable is how long it takes in contemporary economic expansions before people who depend on paychecks vs. portfolios catch a break." Avery Bourne, Danica Roem and Jewell Jones are all part of a rare cohort — millennial lawmakers, making up just 6% of state legislatures across the country. But there may be a lot more of them starting next Tuesday. Axios' Khorri Atkinson reports: Numerous studies signal a surge of youth voting in the midterm elections. But what has been less apparent is that millennials — as a group holding very different views by and large from older Americans — may significantly increase their seats in state legislatures and Congress. About 700 millennial candidates are running in the approximately 6,000 state legislative races. If there is a wave of victories, as some forecast, that would lower the average age of 56 in the legislatures. The big picture: Millennials are most likely to identify as liberal, numerous studies say. But Steven Olikara, founder of the Millennial Action Project, a national political group, tells Axios that millennials are also more likely to be bipartisan than their older counterparts. Mark Gearan, director of the Institute of Politics at Harvard, tells Axios, "This is a generation less wedded to ideology and more open to creative ways to fix the problems that affect their daily lives, from health care to college tuition to finding good jobs." Between 600 and 700 Democratic millennials are running for office in 46 states, according to Run for Something, a Democratic group. Republican groups contacted by Axios say they do not have a precise number of millennial GOP candidates. David James of the Republican State Leadership Committee says there are a "bunch of them." Among them: Bill Essayli, Meagan Hanson and Amber Little-Turner, running for seats in California, Georgia and Pennsylvania, respectively. "We are the future, and it’s great to see so many young Republicans stepping up to lead in their communities. It all starts at home." What to watch: The burst of political participation by a more diverse and digitally savvy generation comes as young Americans have already taken over mayoral offices in Alabama, California and Indiana. They socialized as their law careers progressed, became friends and even neighbors — everyone knew that of William Rehnquist and Sandra Day O'Connor, former Stanford classmates and future Supreme Court justices. But what no one was aware of until now is that Rehnquist once proposed marriage to her. The news comes in First, a forthcoming biography of O'Connor. Author Evan Thomas described it to NPR's Nina Totenberg. In a letter that Thomas unearthed, Rehnquist says, "To be specific, Sandy, will you marry me this summer?" O'Connor — then Sandra Day — had previously dated Rehnquist at Stanford, but by then was in an inseparable romance with John O'Connor and turned Rehnquist down. In 1952, Day and O'Connor married. Rehnquist himself met his future wife, Nan Cornell, the following year. Rehnquist, who went on to be chief justice, died in 2005. O'Connor, who was the first female U.S. Supreme Court justice, announced last week that she has early stages of dementia and is withdrawing from public life.